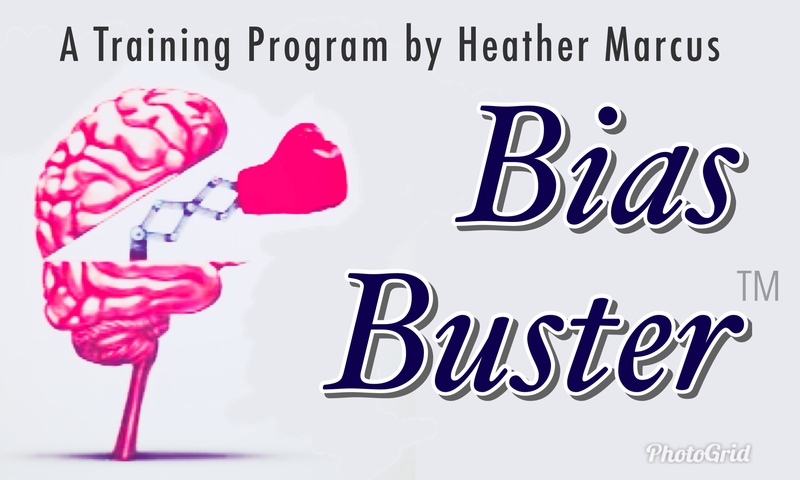 The BiasBuster™ program develops awareness of bias, & provides tools for its management. Bias doesn’t have to be negative. We are all biased. It’s a symptom of having lived. Understanding bias develops self-awareness and better decision-making, and improves interpersonal relationships. Bias comes in many forms, ranging from benign personal preference regarding pizza toppings to entrenched, sometimes destructive, cultural contexts. 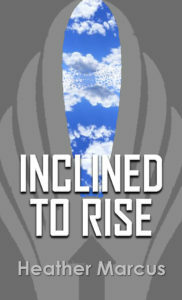 People may develop biases toward or against an individual, an ethnic group, a nation, a religion, a social class, a political party, theoretical paradigms and ideologies within academic domains, even species. And there are different types of bias: confirmation bias, inherent bias, unconscious bias…. Makes sense that humanity can be such a minefield. 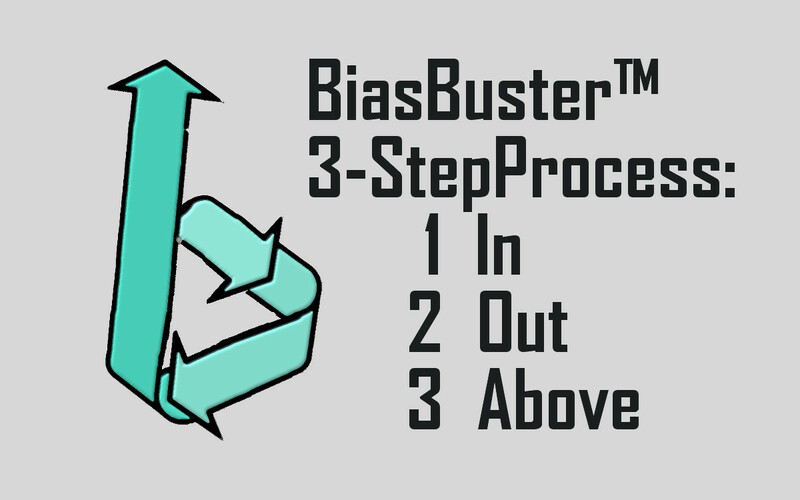 And that minefield is exactly what the BiasBuster™ 3-step program navigates by using the [In|Out|Above] process for raising awareness of bias and providing tools to manage it. The combination of the 3 BiasBuster™ steps are a powerful tool for diversity and inclusion, management, as well as personal development.